​Village community centre, Vasa Kellakiou, Limassol. To get to the race start location of Vasa Kellakiou village. Get onto the main A1 highway that passes through Limassol, take the exit signed for Moni. Passing through the village of Asgata, you will see signs for Vasa Kellakiou, the road now becomes the F117. Your final destination is the village of Vasa Kellakiou, some 10 minutes drive AFTER Asgata village. As you enter Vasa, stay on the main road and pass the yellow bus stop on the left, soon after you will see another sign for Vasa on the right, turn in here and enter the village community centre football field. This is the start area for the race. WARNING - If you are coming to the race from your hotel by taxi, make sure you say Vasa Kellakiou village, near to Asgata and Moni junction of Limassol highway. Few taxi drivers will have heard of Vasa Kellakiou and will automatically take you to Vasa Kellaniou (sounds almost identical). 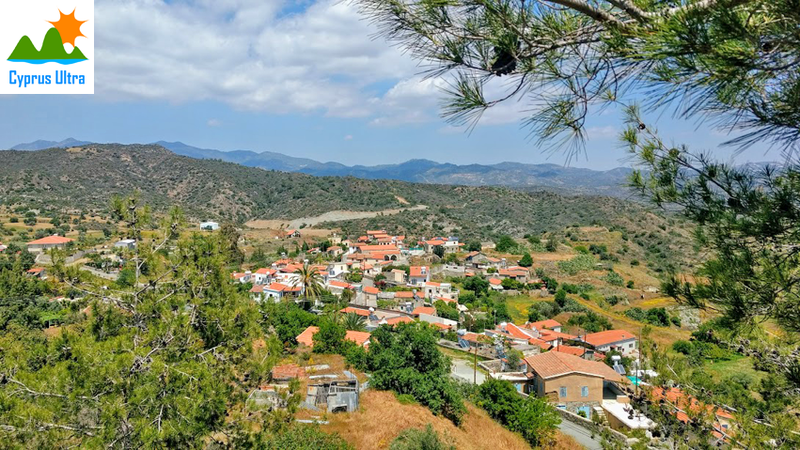 Vasa Kelleniou is in the Troodos mountains 2 hours from where you want to be!